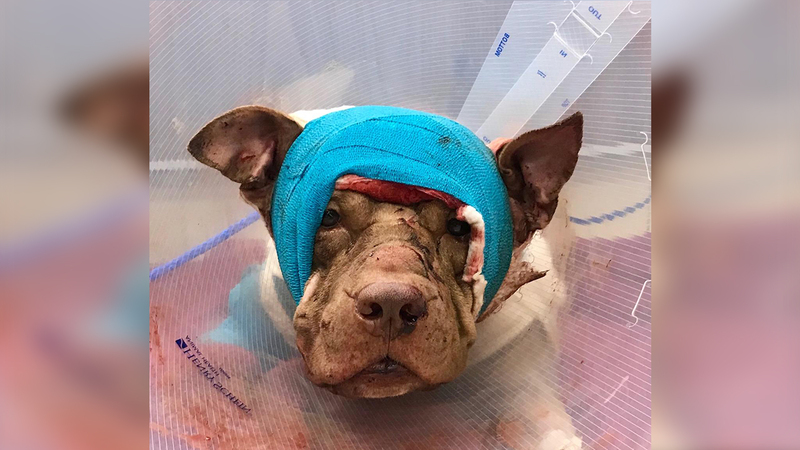 HOLLYWOOD, Florida -- A pit bull puppy that was beaten, stabbed, and stuffed into a suitcase in Florida has died. The Hollywood Police Department said Friday on Twitter that the puppy recently named Ollie died at an animal hospital Thursday night from multiple severe injuries. Hospital administrators said Ollie's story prompted an outpouring of support and emotion from across South Florida. "This has been truly heartbreaking," hospital staff told ABC11. "He was giving and receiving love until the end." The puppy was found Tuesday after officers traced its cries to a blue suitcase that was left behind an abandoned building. Inside, they found the bloody dog with deep cuts on his head and body.